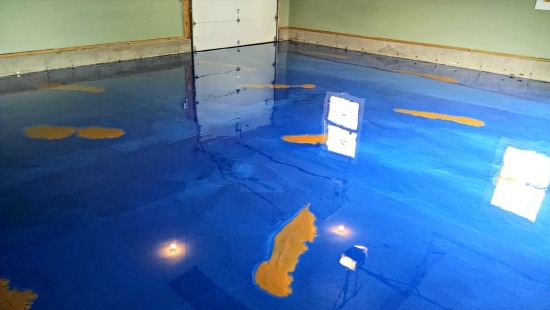 Reflector Enhancer Epoxy Floor in Waterboro, Me. 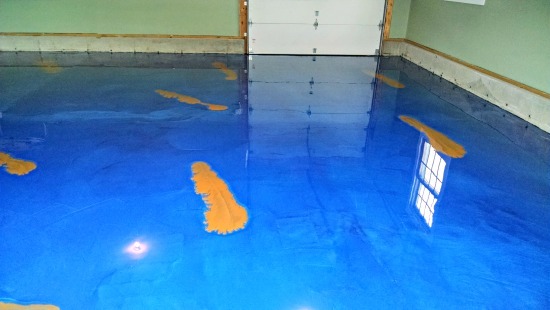 We installed this blue reflector enhancer epoxy floor for a customer in Waterboro, Me. The customer also wanted us to add some gold streaks of reflector epoxy to the blue floor. 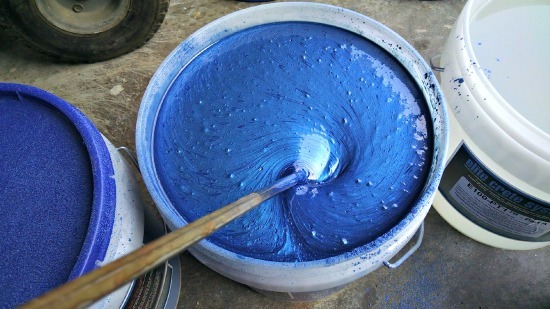 Our blue reflector enhancer epoxy looks kind of like crystal blue water. This would make a great aquarium floor. 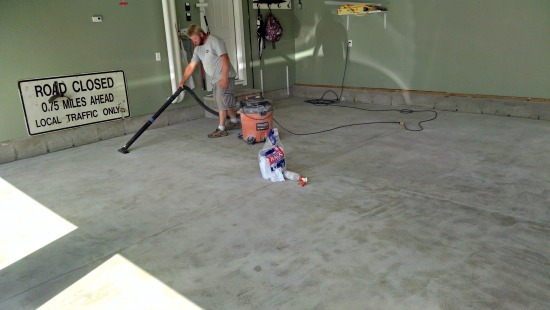 The picture below is what the concrete floor looked like after we finished grinding and cleaning the concrete. 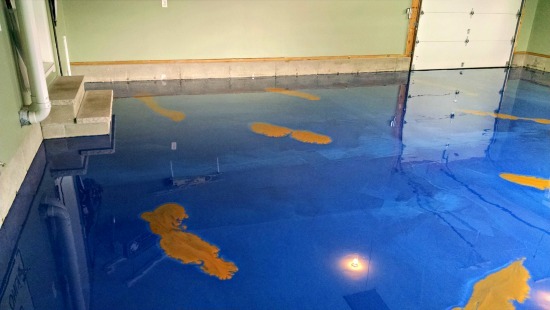 The picture above is what the floor looked like after we applied the blue reflector epoxy with gold epoxy streaks. 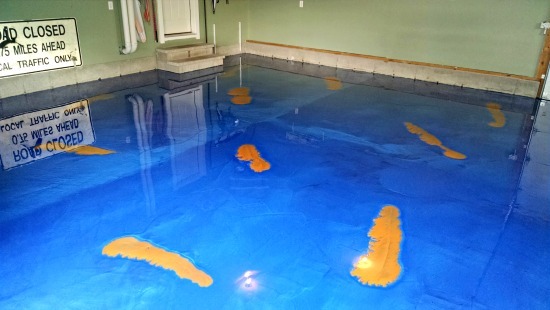 Reflector enhancer epoxy floors are seamless floors. This makes them easy to clean. This project was a garage floor being transformed into a dog kennel. The concrete floor was in pretty good shape before we started. It had a few cracks we repaired and a couple sawed expansion joints we filled in to make the floor seamless. Our reflector epoxy is a 100% solids epoxy. It's a very durable epoxy that has quite a sheen to it after it dries. We install a clear top-coat over the reflector epoxy to help protect it. We can add a slip-resistant additive to the top-coat if you desire. Here's some of our other reflector epoxy floors. We've got 20 different colors to choose from. You can choose 1 color or mix multiple colors together. Take a look at the color chart. If you have some questions or would like a quote, you can call me or click here.